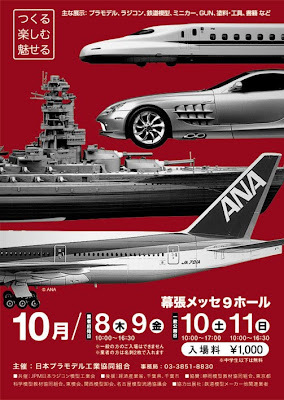 October 8-13 sees Japan’s mega-size Tokyo Hobby Show - officially known as the 49th All Japan Plamodel Hobby Show - at Chiba, across the bay from downtown Tokyo. 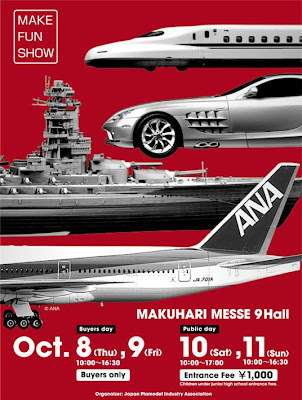 It’s an event (two language poster editions shown above) where the Japanese hobby manufacturers display their tempting wares, and news is starting to sneak in of new reveals planned for the show. 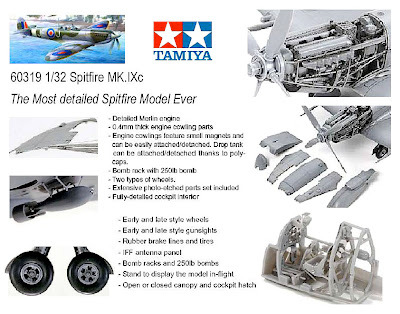 We were talking Spitfires yesterday, so Tamiya’s brand-new 1:32 scale Mk IXc strikes a particularly interesting note. Due in November, this Spit will be utterly packed with mouthwatering detail, top of which will be the Merlin engine. And there’ll be no nasty decisions as to whether to hide it or not, as Tamiya are supplying a set of tiny magnets to hold the ultra-thin cowling panels in place, making them easily removable when it’s time to enjoy looking at that mighty Merlin. There will also be a choice of standard or clipped wings, fully-detailed cockpit, plus seated and standing pilot figures. The UK-based Hobby Company has posted details of the kit, some of which we show above. By the way, the Hobby Company is located in Milton Keynes, not far from where the November HAMEX Model Expo is being held. Visit the Plamodel Show here. Visit the Hobby Company here.